Not been diving for a while? Ready to rediscover the underwater world? Although your dive certification is valid for life, it is recommended that you dive regularly to keep your skills proficient. A Scuba Skills Update will enable you to recapture the feeling of total confidence after a longer period without diving by updating the skills learned in your Open Water Diver course. You will have access to review the SSI online training component and your Dive Leader will review the knowledge as well as cover any new material. You will review dive planning and dive execution to keep you safe during future diving activities. In the Scuba Skills Update you will have the opportunity to practice and review the scuba skills you learned in your open water diver class and learn techniques that may have changed, as well as practice your self-aid skills – all under the guidance of a dive leader. 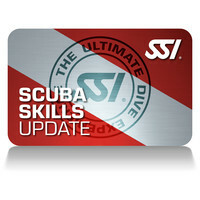 Scuba Skills Updates can also be completed at the Great Barrier Reef. 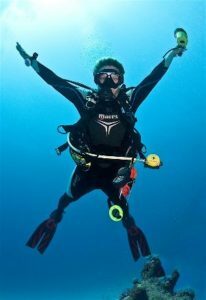 Includes double dive with full gear hire.